I met Aerobics during my high school days and I thought : this is my life-long job. Then I become an Aerobics instructor in 1991.From 2003 I taught both Aerobics and Pilates. But sine 2008 I have been teaching only Pilates. I became so interested in human movement since I learned the Pilates method. "Why do I have this pain in my body?" "why can't I win at spots?" its relationship to each person's body --- This is the Love of my life. 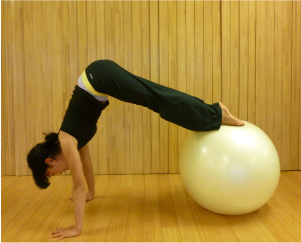 ・Shari Berkowitz: Magic Circle Mat Class"
Copyightⓒ 2012 Pilates Retreat All Rights Reserved.